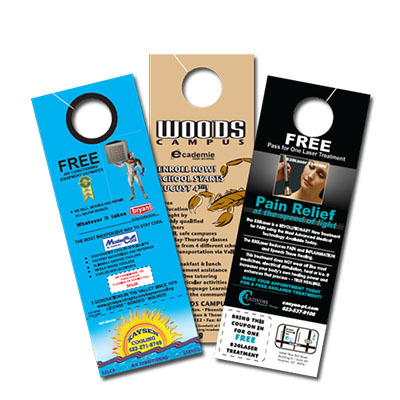 Door hangers are a effective and affordable marketing tool that always gets noticed. Finishing： Trim, die cut and box. Bundling is optional. Turnaround ： 6 - 8 Business Days.